Hurricane Irma slowed down homes sales in September. Many closings were delayed due to inspections, appraisals and local banks and title companies being closed for several days. There were slightly over 300 Cape Coral home closings, when typically there would have been closer to 400 closings for September. What wasn't affected (at least not yet) is home prices and list-to-sale percentage. 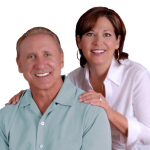 Cape Coral home prices averaged $292,000. This compares to an average home sale price of $266,600 for September 2016, representing a 10% increase. Pending home sales indicate that prices will continue to rise, but it is still lower priced homes that are seeing the highest price increases (and selling closest to asking price). The list-to-sale home price for September was 97.5%, representing a very strong market. We are approaching the $300,000 average home sale mark in the Cape, a figure that hasn't been achieved for about a decade. Tom: I expect the $300 K threshold will be broken in the Cape sometime in the first half of 2018, along with decade-high prices in other SWFL cities. Home prices in SWFL are still about 20% below the peak prices that the area saw in 2005/2006. NorTech.jpgNor-Tech will be building a new 45,000 square foot building in the North Cape Industrial Park. Between land, construction and equipment costs, Nor-Tech expects to invest about $3 million in Cape Coral. The project is particularly important to the Cape as it brings new jobs and investment to the city. 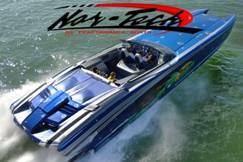 Nor-Tech has the most complete line of custom boating products of any hi-performance builder in the industry. Nor-Tech can customize boats to satisfy the performance and comfort needs of their customers. It is expected that up to 150 new jobs will be created in the Cape, and up to 80 of those jobs will be at an average wage of $45,000. This is in addition to their existing facility in North Ft Myers, which has 135 employees. In July, the Property Appraiser's Office provided each city with the Certificate of Taxable Value for FY 2018. This was the sixth consecutive year that taxable values increased following five years of steep declines. Tom: Based on sales numbers so far this year, property values will increase for the 7th consecutive year and the increase to be close to double digits. While taxable values increased in all cities in Lee and Collier Counties (9.57% for Cape Coral), homes that are homesteaded can only increase by the CPI or 3%, whichever is less. This year the CPI is 2.1%, so that is the property value increase that homesteaders will receive. Sue: Florida's Homestead laws are one more big advantage to those of us who call the Sunshine State our home. Cape's Downtown Streetscape Project Getting Close: The city development agency is working on a streetscape project to renovate SE 47th Terrace, in the downtown area. The project is meant to improve sidewalks, roads and traffic downtown. Wider sidewalks plus aesthetic updates will make the area more inviting and appealing to tourists and businesses. The cost of the improvements may be up to $13 million. Cape Road Paving Underway: The City's Public Works Department recently began FY 2017 Paving Projects. There will be 155 miles of major and local roads re-paved, and the work should be completed by Jan 2018. Among the major roads to receive paving work are Cape Coral Pkwy, Skyline Blvd, Archer Pkwy, Four Mile Cove, Embers Pkwy, Kismet Pkwy and Old Burnt Store Road. Student Debt Delays Millennial Homeownership by 7 Years: According to a joint study released by National Association of Realtors (NAR) and American Student Association (ASA), student debt is holding back millennials from financial decisions and personal milestones, such as adequately saving for retirement, changing careers, continuing their education, buying a home, marrying and having children. The report shows that the average millennial carries a student debt of $41,200, exceeding their average annual income of $38,800. Only 20% of millennials currently own a home The median amount of time millennials expect to be delayed from buying a home is seven years, and 84% expect to postpone buying by at least three years. Tom: When these young buyers do enter the real estate market their presence will provide a strong boost to home demand and continued rising prices. Local Uber Driver: We have a great Uber driver that we can confidently recommend. Ron Romboli @ 239 940-2913. Very reliable, personable and he drives a nice, clean vehicle.